The woman seated by me on the airplane was experienced in marketing words. 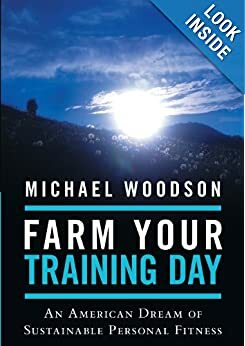 Her confident conclusion was that Farm Your Training Day: An American Dream of Sustainable Personal Fitness is a bad title. Her tone was respectfully hushed, saving this unknown author from the ignominy of being known onboard as a bad-title-picker. I had visions of bad-title-air-marshals tackling me on the tarmac, and burning my books. Truth is, my fellow passenger’s observation touched a nagging, bothersome, itchy insecurity I’ve often felt about my book title: if people have to read the book to get the title, that’s not a good title. The title is supposed to prompt people to dive into the book, not remain opaque to all who don’t first delve. A title should be a lead-in, and even if it’s semi-mysterious, its words should offer values that Gumby-ply the majority willpower to skate into that book. Is “Farm” such a word in the age of gaming and over-the-top pornification of just about everything except cereal (the sales of which are falling)? Well, maybe, a small voice counters, the extreme has been reached and the pendulum is returning to sanity, and in a sane world, farming is golden. Hmm. Still, how many people would read my title and get it? And how many would go so far as to read the subtitle for clarification? My early assumption was that intrigued by the unusual title, they would certainly hone in on the subtitle. From the subtitle, they would have enough to prompt a quick “Look Inside” or a preview of sample pages. Then they’d be hooked! It is challenge enough for most people to finish a 279-page non-fiction book on new fitness philosophy without pictures that isn’t by an author with a Beverly-Hills-Household-brand-name like “Yogi Effuzio Zeus-Nero, former Navy SEAL,” or the like. I mean, I wanted to write an entrepreneurial mind-body conditioning book that provides an adaptive training catalyst for readers, not ensnare their self-critical envy for my beach-body, then move to Venice beach once I made it. I just want to afford to be able to travel and see our extended family more often while enabling all of us to be home more of the time. But I wanted to give something of quality to get there. 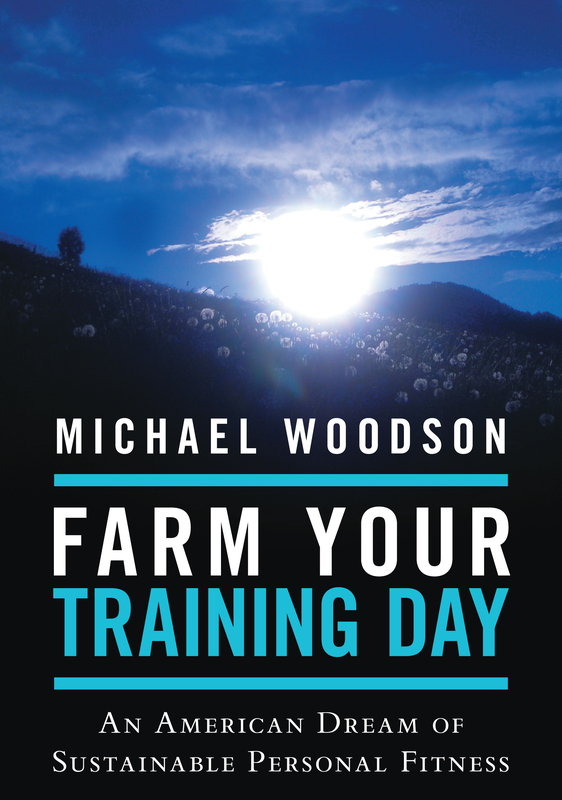 Maybe the Farm Your Training Day terminology in my book title is so smart, it’s dumb. The title tracks the adaptive principles and dimensions within that so broadly and deeply empower readers to trail blaze their own multidisciplinary training lives. That’s smart. The book is a reader-catalyst for achieving consistency with lifelong room to grow and modify one’s training life. Isn’t that what you’d expect from an adaptive fitness philosophy? That’s smart. The farming analogy is good for the reader because it does not create a need then sell to fulfill it. There is no fad-branded co-dependency with adaptive training. Instead, my book reveals that you already own what you need to exceed what any fad could ever sustain. All you’ve got to start with is the truth: you own your farm and your role as farmer of your mind-body. That is smart. And yet, true, smart concepts require implementation, and that’s what the 279-pages get at. But this fitness philosophy book does not market so well, since marketing is about stoking immediate-gratification impulses. As a marketing tool, my book is dumb. Still, farming the mind-body recruits the readers’ minds and imaginations, something that teaches readers to fish for life by internalization while not giving them step-by-step photos they never have the patience to follow, being tantamount to serving-up cold fish they never finish cooking. Don’t shove knowledge at me, teach me how better to learn! Once readers use this catalyst to excel, they will hopefully overcome my sorry-title with solid reviews, and I’ll find my salary modestly paid before I die. The scale of beginner to elite-level training is for readers to determine and navigate after consultation with their health care advisors, but my book’s baseline principles and training dimensions bring all readers to a zone of sustainable self-training consistency that forms their own unique, solid launching pad. The currently served, over-served, and underserved all stand to benefit from Farm Your Training Day. And the adaptive principles and dimensions don’t apply to physical training alone. They can apply to work, art, and service. There are takeaways for everyone. The point of my book is not ‘who am I’ and never was. The point of my book is and has been, to help resolve roadblocks to wellness and conditioning in a country more flush with fitness brands than ever, but whose population continues upward in the obesity, overweight, and depression statistics. My answer, as may shock publishing houses, editors, and agents, comes from an ordinary person who researched, tested, and wrote the book with no intention of creating codependency on my brand for future training inspiration, but with the intention of empowering readers with a single purchase to become independent self-training athletes for-life, whose sports, arts, and physical work forms are their own. Blasphemy! My approach is a catalyst for self-training ownership never to be co-dependent on contracts, subscriptions, fad-brands, or personalities to ascend to lifelong wellness, functional fitness, and improved performance in sport, art, and work. Time will tell if “farming” is a time-tested model for our training lives, and whether mass-corporate farming is any better than small, local, organic farming tailored to each individual and in the individual’s conscious control. So what do you think? Should I change the title? ran up the road at the canyon base, then joined Fowler trail and doubled back up on the mountainside (see trail opposite the climber) …there were climbers on the rock today and the natural springs pool was packed with whooping, hollering, happy people escaping the heat…saw a lot of smiling people today. Parked Eldorado Canyon corner store at Highway 93 and ran up Highway 170 through Eldorado Springs, a climber’s haven. Passed through town, past the sheer cliffs, and found Fowler Trail, running it back down to join back up with Highway 170 then back to start. 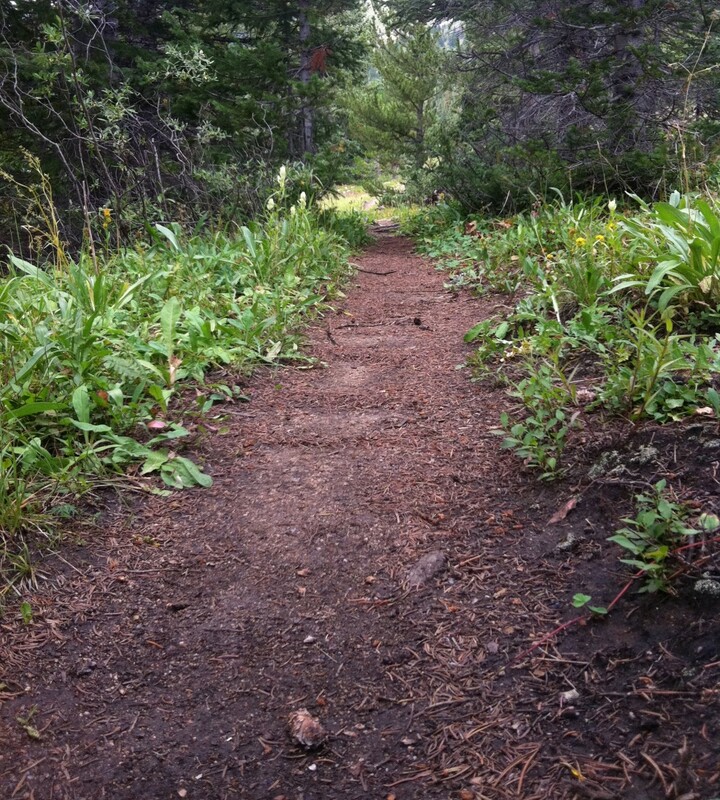 The run was a little over 8 miles, about 50% road and 50% trail. When you’re overweight: there is the you that tethers your mind and emotions about your body to your body, holding it down, and vice versa. Then there is the you capable of sensing your separateness from your own body that respects what the body can do if allowed. This is your spirit that can untie your body from the current emotional state to let it move. It’s kind of like taking your dog for a walk when you feel half asleep. Or letting the parking brake off of your car. Or stepping up during an emergency. The part of you who rises above the emotion-shackled body and body-shackled emotional state is the athletic spirit, the worker’s ethic, and the artists inspiration. This you is capable of adaptive training. Turns out, freed from the body-mind and its every notion about the body (from aches to analyses) the emotions will serve the athletic spirit. 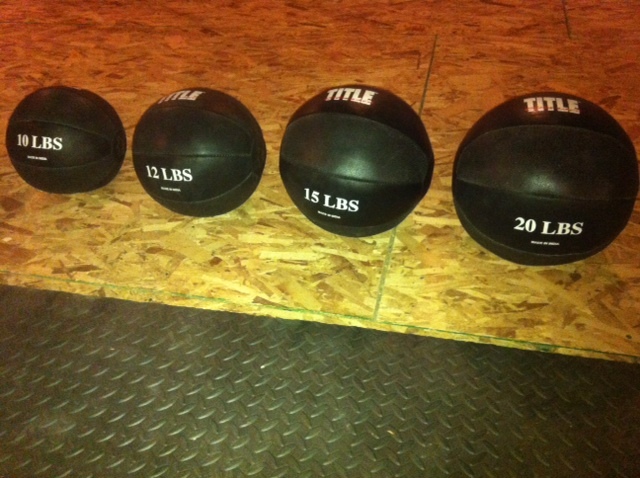 Once moving, these two will lead the mind and body to freedom and greater well being.